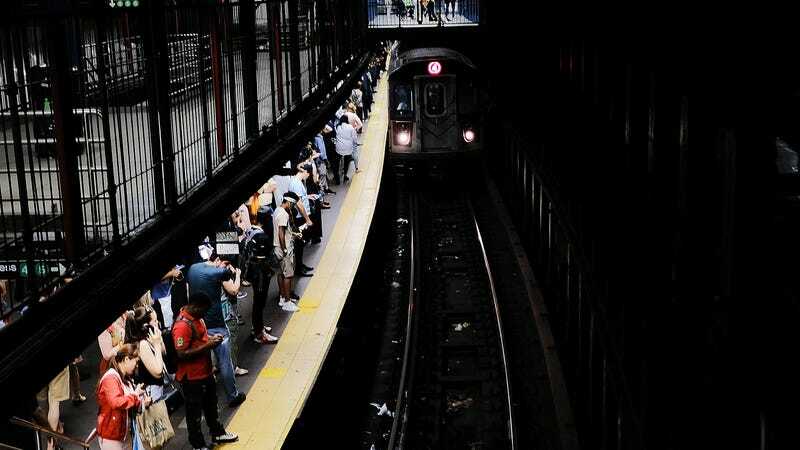 Women in New York City spend more money on transportation than men, according to a new report, especially if those women have kids to take care of. Researchers at New York University’s Rudin Center for Transportation found that women spend an average of $26-50 more than men to get around the five boroughs, Wired reports. For women who are also their family’s primary caregiver, these additional costs can total as much as $100 extra per month. This can amount to as much as $1,200 more than men per year. This “pink tax,” researchers say, is tied to women’s safety concerns on public transportation. Female respondents were more likely to say they’ve been targeted for harassment and theft (75% women, 47% men), and, as a result, they were more likely to spend more money on cabs in order to avoid late-night subway and bus rides (29% women, 8% men). If that latter stat seems high (nightly Lyfts and Ubers aren’t exactly super affordable, you know? ), that’s because the nearly 550 people who responded to the report’s web survey were disproportionately whiter and wealthier than the rest of New York. So, I guess you could say this report is less about how much more women spend to avoid harassment on public transportation than it is about how women are more likely to experience harassment on public transportation but only upper income women, disproportionately white, are able to buy their way out of it.